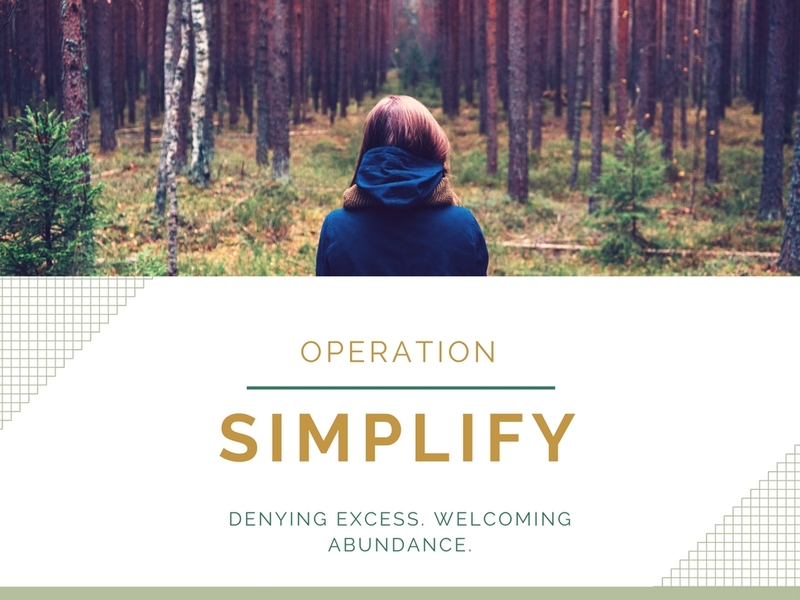 Operation Simplify: Denying Excess. Welcoming Abundance. It’s that time of year again. We decide to heck with 2016 and bring on 2017. Time to set lofty goals, and attempt to keep them this time. I’m gonna be honest: it doesn’t always work out for me. Or what happens most of the time is that I’ll rock it in one area and fail in another. So, I decided not to make a crazy goal like run a marathon, or eat a completely raw vegan diet or read the entire Bible in a year. My goal is simply this: simplify. Simplify. My goal is to reject excess and welcome abundance. We live in a society where it’s the norm to have and consume an excess. This mindset that excess equals success has poured out beyond our cars and the size of our homes… It’s seeped into our closets, taken over our kitchen cupboards, and it’s even stolen our time. We’ve bought the lie that more stuff makes us happy, and we’ve agreed with the false belief that busyness means importance. It’s time to stop. For me, the time is now. 2017. This is my year of simplification. I want to simplify not just my material possessions; but my lifestyle. 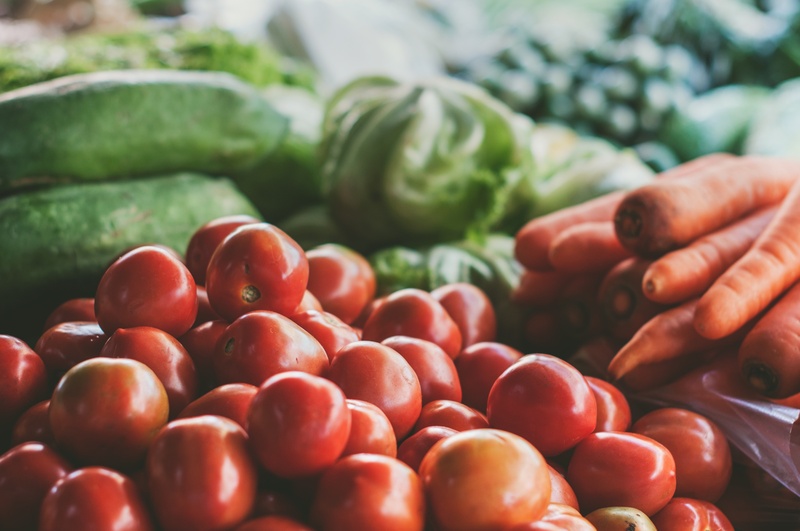 I want to simplify my diet: less processed food and more natural food; I want to simplify my personal care products: out with the chemicals and in with nature; I want to simplify my time: toss out those time sucking activities and make time for rest; I want to simplify my life. So, each month I’ll be focusing on a different area and sharing about my journey. I’ll share what was hard, what scared me, and what gave me joy. You are welcome to join me if this interests you, but in no way am I stating that your journey should look like mine. You do what’s best for you, and I’ll share my story here. My hopes are that you too will find abundance in this coming year. I love the distinction between excess and abundance, two we often mistake for being the same thing. Wishing you luck on your goal this year!